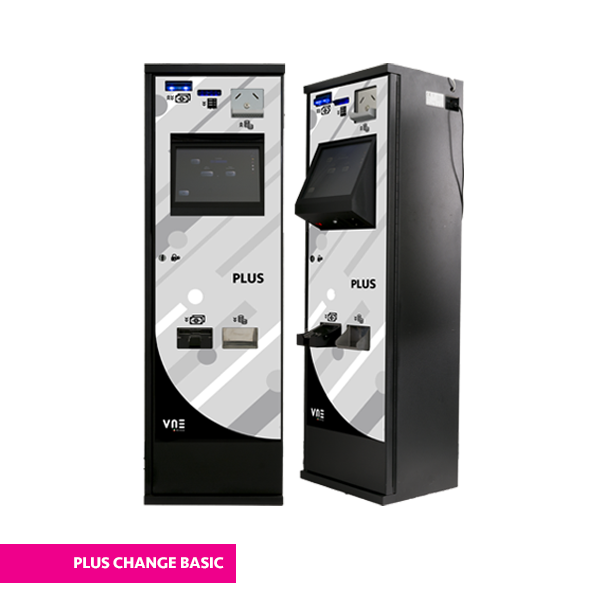 Small Coin change machine and Banknote change machine.Accepts coins and banknotes and can carry out both types of change whether exchanging for coins or notes. 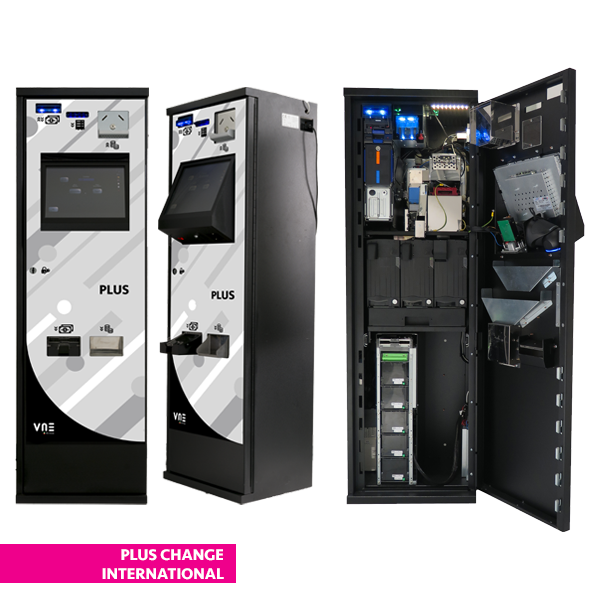 Coins can be simultaneously put into a convenient tray and the machine automatically accepts them, counts them and validates them filtering them into two hoppers that can be either for one type of coin or more than one type. If the machine is equipped with a single coin hopper, it accepts only the coin size of those present in that hopper while all other coins will be rejected. If on the other hand the hopper is multi-coin, the machine will accept all coin sizes configured for the hopper. By inserting the coins therefore, the hoppers re-fill themselves automatically which thus reduces the need to have an initial change stock. 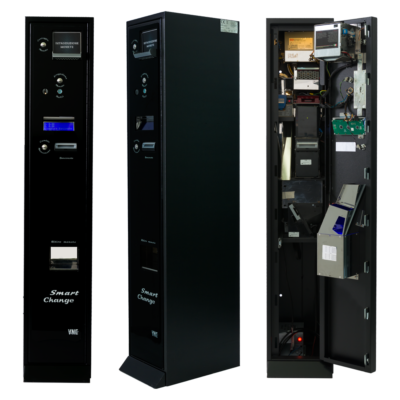 Smart Change is also able to give two or three banknote sizes that are automatically refilled in the note recycler when the notes are put into the machine. Sizes which aren’t given out instead are accepted and kept in a stacker. 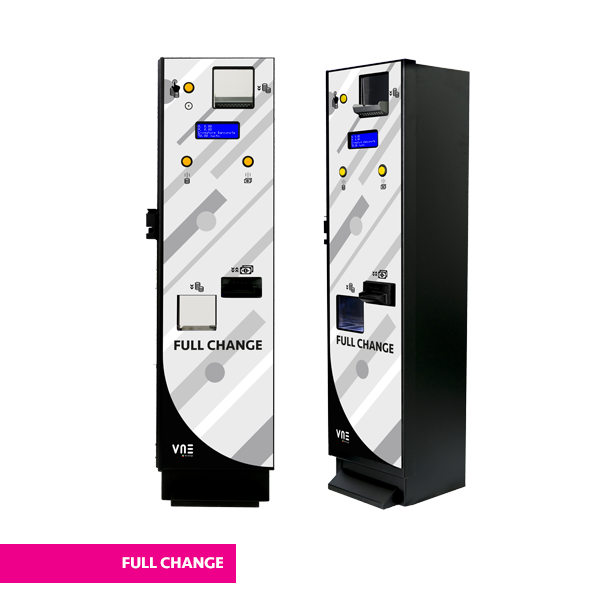 Smart Change also has a bill breaker function and can therefore accept bigger notes to be changed into smaller ones. 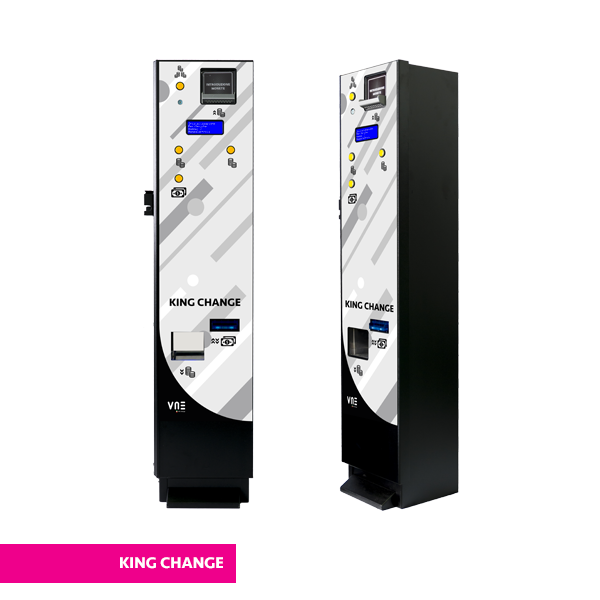 The machine can be managed and controlled remotely using a simple App by installing the remote kit which via an M2M chip with a dedicated Gprs connection with vpn, provides information regarding the status of the machine, stock and it sends pre-programmed alerts for the required information. In addition, via the GPS system, if the machine is moved without authorisation from the chosen location it sends an alert which allows its movements to be tracked and monitored in real time. 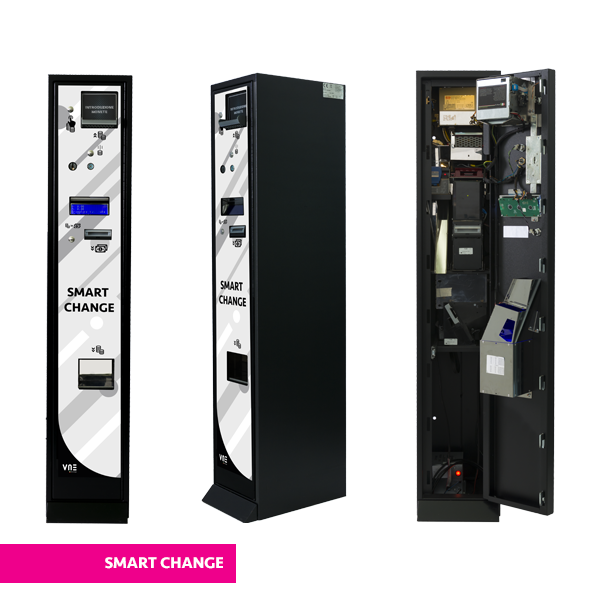 Smart Change is a classic column design which considers the suitable ergonomic heights for introducing and giving out money. Its plexiglass cover on the front door can be customised with various colours and logo designs.